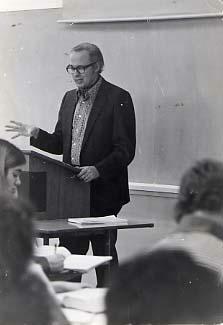 Photograph of professor Deane Downey giving an English lecture. 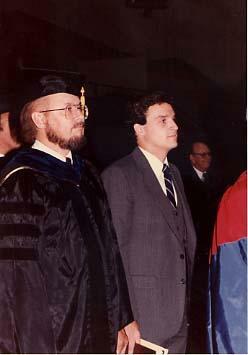 Photograph of Deane Downey and Paul Elliott standing at convocation. Photograph of Orville Lyttle, Deane Downey, and David Judge standing at convocation. Photograph of Craig Seaton interviewing Elmer Dyck, Jack Van Dyck, Deane Downey, and David Twiest in the chapel. Photograph of faculty member Deane Downey in his office.